Is Bio Energy Therapy a Viable Resource with the Counselling Setting? This article proposes that the practice of bio energy therapy can add value to a client’s process within a counsellor’s practice. Additionally, counsellors and psychotherapists are well placed to incorporate bio energy therapy within their practice as they work with clients, are accountable and professionally trained in standards and code of ethics. Counselling is a talking therapy that allows clients focus on challenging issues affecting the quality of their life. Bio energy therapy has the potential to add another dimension in that it taps into universal energies and accelerates the process of healing and integration on all levels for both clients and counsellors. Every counselling and bio energy session is particular to the individual client in their uniqueness. Bio energy therapy can be administered as a standalone therapy or can be incorporated successfully within the counselling setting. Bio energy therapy is a holistic non-invasive therapy which works to create emotional, mental and physical harmony. Historically records document energy healing over 3,500 years ago. Pyrenees’ cave paintings from 15,000 years ago and ancient Egypt rock carvings from 2,700 BC show laying on of hands helping the sick. Ebers papyrus writings (Bryan, 1930) from 1,552 BC describe hands on healing. Eastern healers have studied the human energy system for thousands of years and have mapped out its structure in great detail. Bio energy therapy does not contravene any personal beliefs; it is not based on any religion but on the existence of energies within and outside the body which have been proven to exist (Lipton Dr, 2005; Anando, 2014). From an energy perspective all life forms, including human beings, are made up of layers of vibrating energy, each with their own specific vibration (Brennan, 1998). Quantum physics tells us that nothing is actually solid, everything is energy. In quantum physics, everything is seen as a collection of vibrations in quantum fields. These vibrations are carried through the field in small packages, quanta, which appear to us as particles (Joint Quantum Institute, 2013). Patterson (1998) contends that we are all part of the natural harmonious energy of the universe. Within this universal energy field is a human energy field that is intimately involved with human life, often called the aura. Kirlian photography is often cited as evidence for the existence of energy fields unique to living things. Petterson (1988) contends that the seven layers within an aura, each with its own colour, have been recorded using Kirlian photography. The physical body consists of energy that vibrates very slowly, which is why it appears to our physical eyes to be solid. Our energy systems surround us, are inside of us, and penetrate us completely. The meridian system, a system of energy channels within us through which all energy moves throughout our body. When we speak about Energy that is vibrating within and around the human body we call it Bio Energy. This flow of energy within the human body is generally continuous and smooth. When an imbalance takes place the flow of energy is agitated, often leading to a blockage. This can allow disease, ill-health and emotional blockages to manifest. Bio energy therapists are trained in techniques which are designed to effect change in the energetic body, which can create change in the physical body. Therapists are trained to become sensitive to feeling these blockages and through using a series of hand movements they work to release the blocked energy. This improves impaired energy flow thus allowing the body and emotions to balance naturally. Often we are unaware of what we are carrying at an unconscious level. Bio Energy therapy works on the surface first and goes deeper over time, like layers in an onion. Energy flows through our bodies in much the same way as water flows through a hose. Physical and emotional trauma, some of which we don’t even realise we carry, can disrupt the flow of energy the same way a break, bend, or clog in a hose can interrupt the flow of water. Energy flow can be disrupted in many ways; it can be blocked, out of balance, split, undercharged, stagnate, torn or held. When this happens disease can result which may manifest into the physical body in many forms. Bio energy therapy is non-invasive, with minimal physical contact and can be administered without touch. Clients remain fully clothed with the exception of their shoes. Guidelines exist with regard to physical touch between client and therapist, ensuring client safety (Ethical Framework, 2002). Guidelines to do with touch, however, are not clear-cut matters of right and wrong. Some therapists do not touch clients while some would advocate it has a place within the therapeutic relationship. For many clients “touch can be a powerful tool for increasing awareness; overcoming resistance and rigid defences; and mastering the developmental phases of attachment, dependence and trust” (Smith et al. 1998). A boundary is an edge or limit that defines a person as separate from others and is the framework within which the therapist/client relationship occurs (Katherine, 2000). “Codes are written in fairly general and abstract terms in order to condense the experience and thinking behind them and to make them as widely applicable to a variety of circumstances as possible” (Bond, 1993 p.44). According to the Irish Association of Counselling and Psychotherapy (IACP) the purpose of the Code of Ethics (2005) is to encourage optimum levels of practice, to establish and maintain ethical standards, and to inform and protect those who seek and use the services of practitioners. Counsellors and psychotherapists apply appropriate boundaries within the counselling relationship in order to provide safety for the clients and counsellors. Counsellors and psychotherapists are best placed to incorporate bio energy therapy within a counselling setting as they continually monitor the boundaries in their relationships with clients and can act as a role model, providing important value for those who have inappropriate boundaries. Self-care is an ethical requirement for both the counsellor and the bio energy therapist. Self-care is covered in the code of ethics clause 4.1 of the IACP code of ethics and practice information sheet 7 (2005). The ethics code advocates engaging in self-care activities in order to avoid burnout which could result in impaired judgment and to avoid harming others. Wellness is one of the critical factors in being a healthy counsellor and bio energy therapist. The helping professional, who is aware that compassion fatigue and burnout are givens in the therapeutic work, is well placed to recognize and respond effectively when they experience the impact of these stressors. Ultimately, self-care for all helping professionals is crucial so that they can continue to meet the needs of their respective clients with maximum effectiveness. More importantly, counsellors who have experienced bio energy sessions reported working well with their clients and were better able to meet the emotional demands of the work without feeling overwhelmed or burnt out. One counsellor’s feedback, “I felt like I had no energy, I was becoming irritable with my family and felt my clients were not getting the best from me. I knew something had to be done before I became completely overwhelmed or brunt out. One of my friends told me about bio energy therapy. I was sceptical at first, but eventually I made an appointment and I couldn’t believe the results! My energy sky-rocketed, my client work was back on track and I had never felt more focused in my life. I cannot say enough good words about the therapy and it is invaluable for my self-care”. The author contends that bio energy therapy sessions can be incorporated into a counsellor’s self-care plan and is just as important as eating healthy, exercising and getting enough rest. Counselling and bio energy therapy is a very personal, private and confidential process for each individual client. Maintaining a professional attitude throughout the process enables the counsellor and bio energy therapist to assist the client, to the best of their ability. There is a realisation in the current challenging and recessionary times that our emotions can affect our health. Humans experience an array of emotions, anything from happiness to sadness to extreme joy and depression. Emotional well-being and mental health concerns are major health issues in their own right and can contribute to a host of physical ailments including sleep disturbances and lack of energy. Through the releasing of negative emotions and negative thoughts we can allow ourselves to heal. Clients who have experienced bio energy sessions reported their physical and emotional pains were eliminated or reduced. Counselling and psychotherapy are umbrella terms that cover a range of talking therapies. They are delivered by professionally trained practitioners who work with people over a short or long term to help them bring about effective change or enhance their wellbeing. Counsellors and psychotherapists help clients work out how to deal with negative thoughts and feelings and make positive changes. If you turn a worry over and over in your mind, the worry can grow. But talking about it can help you work out what is really bothering you, often getting to the source of the issue. Within a counselling and psychotherapy session clients’ negative thought and belief patterns can emerge. This new awareness may still leave the client with feelings of depression, sadness, grief or anger. The author contends bio energy therapy can add another dimension in that it can accelerate the process of healing for the client. The expressed or even unexpressed emotions and blockages that are uncovered are released resulting in a positive sense of relief for clients which in turn allows them to realise and fulfil their true potential. Guilt, worry and fear are common emotions for all. These emotions can be challenged to enable us to be more present, authentic and ultimately more content. By facing the things we fear in life we become stronger. Knowing what is holding us back and why may be important. However, this information is useless if we do not act upon it. Counsellors encourage clients to rely on their own resources and inner power. 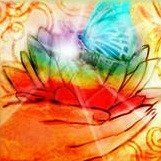 In a bio energy session this source of inner power and strength is tapped into allowing in new awareness and understanding for the client. This new knowledge can help clients to take responsibility and actively implement positive changes in their life. The Oxford English dictionary describes self-awareness as conscious knowledge of one’s own character, feelings, motives and desires. Self-awareness for counsellors and bio energy therapists is valued because it involves continued learning and personal development. When we are open to learning and having new experiences we move beyond the usual drama and fears and gain a new understanding of ourselves. We are less likely to get caught up in our emotional baggage. The co-founders of bioEnergy training continually receive feedback from clients that they describe as experiencing a light bulb moment while having a bio energy session. These moments were expressed as having gained some insightful self-awareness which made perfect sense to them as to how and why they were sabotaging themselves by continually behaving and repeating the same patterns over and over again. One client’s feedback “I worried for years about what other people thought of me and I worked hard on all my relationships, always worried and turning things over in my mind whether people really liked me, while having a bio energy session I had an insightful self-awareness, I have to like myself first”. Clients also expressed feeling more relaxed, joyful, playful and peaceful. They flow with life and find their connections with others are enriching. The author is a counsellor and bio energy therapist and proposes that incorporating bio energy therapy as part of a counselling session can be an effective and invaluable intervention for both client and counsellor. The co-founders of bioEnergy training regularly receive positive feedback from clients telling of how well they feel and are better able to meet the demands of life. Counselling and psychotherapy helps increase a deeper understanding on personal, painful and difficult issues within an individual. Careful listening is the largest part of what all counsellors do. They ensure clients have clarified the issues in their own terms and help them define what they wish to do next. Some counsellors are more active, offering suggestions for further ways of helping clients resolve their problems. While others use less interventions and work at the client’s pace. Bio energy therapy is a therapy which comprises specific knowledge, skills and techniques. Bio energy therapy helps individuals move beyond their emotional issues, accelerates healing and relief or elimination of pain. The author proposes a combination of talk therapy with bio energy therapy can contribute to effective changes for clients within the counselling process. This article aims to raise awareness around the effective use of bio energy therapy with clients. It also hopes to open up a discussion for its inclusion within the counselling and psychotherapy framework. In summary, counsellors, psychotherapists and bio energy therapists work to the same agenda that is to support the clients in working through their own processes and to assist them in improving the quality of their life. Anando, (2014) part of a series of articles on Science and Meditation published in the Italian Osho Times. The new Science: We are made of Energy, not Matter [Online] Available from: http://www.lifetrainings.com/We-are-made-of-Energy-not-Matter.html (accessed September 2014). Bond, T. (1993) Standards and Ethics for Counselling in Action. London: Sage Publications. Brennan, B.A. (1988) Hands of Light A Guide to Healing Through the Human Energy Field. New York: Bantam Books. Bryan, C.P. (1930) The Papyrus Ebers. Letchworth, Herts: The Garden City Press Ltd. Ethical Framework for Good Practice in Counselling and Psychotherapy (2002) Revised Edition. Published by British Association for Counselling and Psychotherapy. Hurwitz, W.L. (2001) Energy Medicine. In Micozzi S. (Ed. ), Fundamentals of Complementary and Alternative Medicine (2nd Ed.). Philadelphia, PA: Churchill Livingstone. Irish Association for Counselling Psychotherapy Information Sheet 7 IACP Code of Ethics and Practice. First edition adopted prior to 1991. This Code of Ethics was ratified at the AGM (2005). Katherine, A. (2000) Where to draw the line. How to set healthy boundaries every day. Simon and Shuster: New York. Lipton, B. Dr. (2005) The Biology of Belief Unleashing the Power of Consciousness, Matter and Miracles. Printed in the United States of America: Mountain of Love publications. Patterson, E. (1998) The Philosophy and Physics of Holistic Health Care: Spiritual Healing as a Workable Interpretation. Journal of Advanced Nursing 27, 287-293. Smith, E. Clance, P., Imes S. (eds.) (1998) Touch in Psychotherapy, Theory, Research and Practice. New York: Guilford. Laureen Taylor, is an accredited counsellor, psychotherapist & supervisor with IACP. M.Sc. (Bereavement Studies), B.Sc (Hons) (Counselling & Psychotherapy), MIACP and Dip Bio Energy Therapy. Laureen has a private practice and works with individuals and couples. She is the founder of Bio Energy Therapy Training.